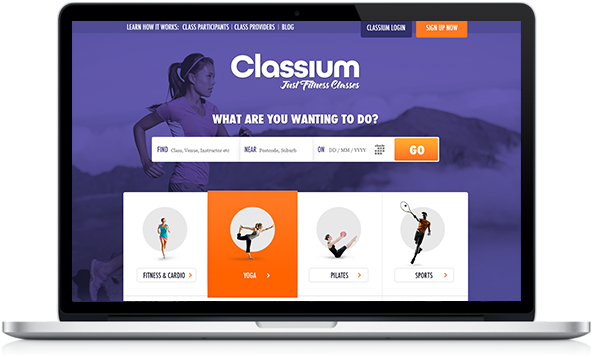 Classium is Australia’s leading aggregator of all things fitness. Unless you’re a member of the fitness elite, chances are that you’re one of the many of us that has woken on a Sunday morning, head spinning after a night of rich food, far too many drinks and three Big Macs at 3am. Only to tell yourself that today is a new start. A new leaf. No more kebabs and beer. No more lying on the couch on Sunday afternoon. No more Sara Lee on a Tuesday night. That’s right, you’re going to get fit, once and for all. You’re going to join a gym. Get down to the park and do some cross-training with a group. Find a personal trainer. Learn Pilates. Get back into squash. Fabulous, until you start to think about how you’re going to do it. Where do you start? How many trainers are in your area and which ones are good? Which classes are at your local park? Can I just try a yoga session or two? At which point, dear fatso, it becomes all too hard and you lose all momentum. And before you know it, you’re in the kitchen grilling a ham and cheese, telling yourself that at least it is breakfast time and you’ll metabolise it quickly. Fitness is a highly fragmented industry, especially if you want to skip the major gym on the corner. It is almost impossible to know what sports, activities and fitness are happening, let alone where and when. 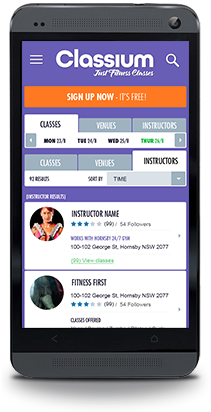 Which is where Classium summersaults in, as Australia’s preeminent aggregator of all things fitness; classes, venues and instructors; a click your fingers website presenting and dissecting every option available to you. 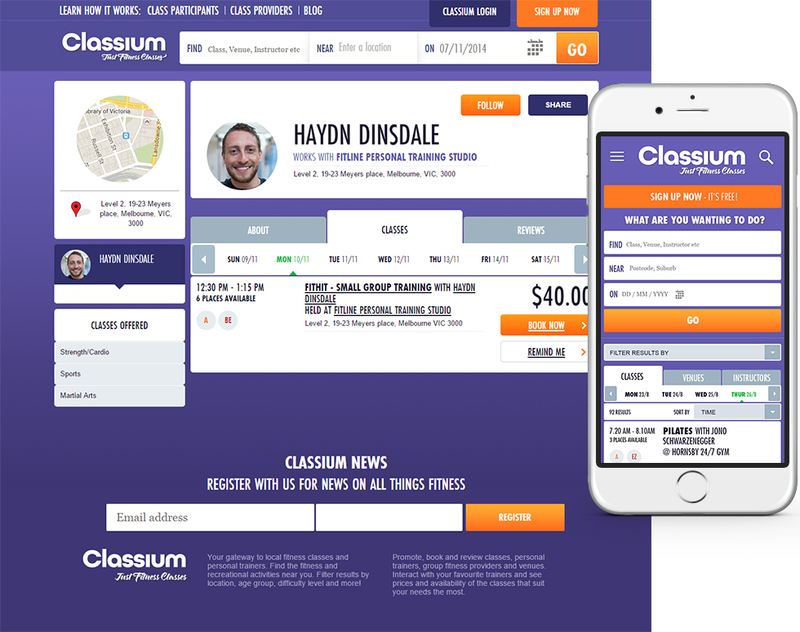 Whether a one-on-one boot-camp on Manly Beach or martial arts in a gym across town, Classium brings it under one roof, with a powerful search engine showing up-and-coming events, venues and instructor profiles. Previously used and liked a trainer? Not only can you rate them, you can see all their classes across town like the fitness groupie you are. Live on a great beach? Find out everything happening there for the next seven days. All before the Sunday morning smells from across the road kick in and the fitness dreams collapse again.